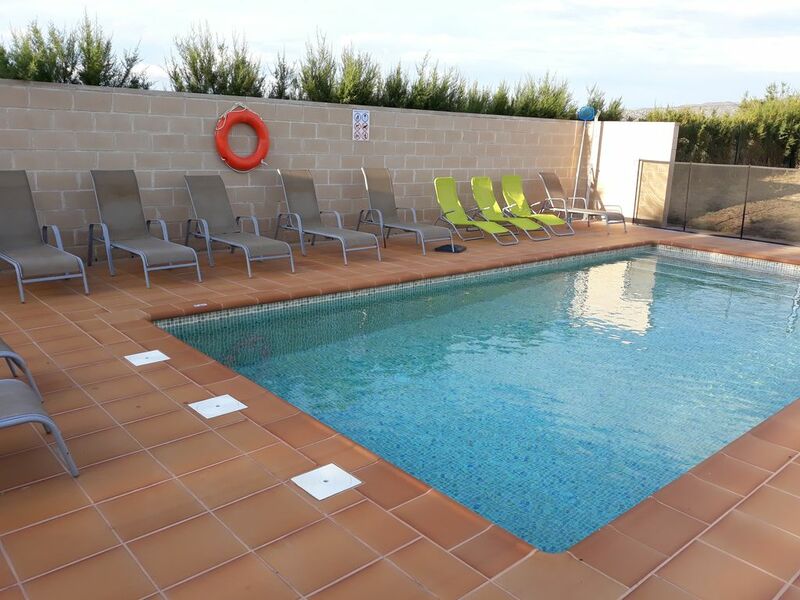 Masia with private pool, located in Alt Empordà, 3 km from Castelló d'Empúries, 6 km from the beach, very quiet, you can practice cycling and other sports near the house. In Empúriabrava you can practice skydiving: Visits to the Dalí museum. Visit Sant Pere de Rodes. Masia located in Alt Empordà, 3 km from Castelló d'Empúries, 6 km from the beach, very quiet, you can practice cycling and other sports near the house. Good home for a relaxing and fun vacation. Bed in Costa Brava Alt Empordà surrounded by lawns and meadows located in Peralada -Vilanova of muga-6 km. Empúriabrava Beach. Its location allows access to different cultural and recreational spots near the house. Horse riding, skydiving, horseback, tennis, golf, etc ..